A sump pump is installed in your basement and effectively re-directs water away from your home’s foundation. A sump pump is usually installed so that the weeping tile system that surrounds the perimeter of the house has a place to drain (weeping tile is also called a drainage tile, pushing underground water away from your home). A sump pump includes a tank that holds water drained from the weeping tile, a pump that pushes water away from the home, out to an exterior drainage point, and a battery back-up system with an alarm, in case the power goes out. We like to advise all our clients to make sure they have the back-up system in place, so in the event of a major storm, your home is protected against a wet basement. Contact Canada Waterproofers Georgina and we will show you a sump pump, explain how it works and how it’s installed, and where, in your basement. A power outage puts the homeowner in an especially vulnerable position – one of the key tools in a home waterproofing system is suddenly not pumping water out of a basement during a harsh rain storm. However there are two kinds of back-up systems in the event this happens – a battery-powered pump, and a water-powered pump system, that will leave you more than protected. A backwater valve is a one-way valve device that prevents outbound water and sewage from the home to re-enter through the home’s drain pipes if the system gets overwhelmed during a heavy rainstorm. It takes about a day to install the valve. The crew from Canada Waterproofers Georgina will conduct a camera inspection of the sewer to determine the best place to install the valve. Keep in mind – when installing any new fixture a permit from the city is required. Ask us about it. Municipalities and insurance companies are now encouraging homeowners to install mainline backwater valve, an absolute must as the weather conditions change.  The professionals at Canada Waterproofers Georgina have the expertise needed to install backwater valves. We would be happy to provide a free on-site assessment and quote. We own homes as well, so we understand the level of stress involved if your home becomes flooded. However we also know that if you protect your home with a waterproofing system, featuring technology like a sump pump and backwater valve, you will never have to experience that stress.